It’s the little things that add up to a big environmental problem for all of us, so why not start small in your efforts to fight global warming and the degradation of the environment? Wanting to make a profit and help the planet, two friends started WRAPTIE in 2017 to give people an inexpensive and useful way to secure gear while not contributing more plastic waste to the environment. 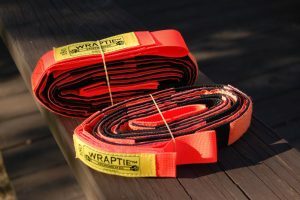 Every single WRAPTIE tie-down strap ($19-43, wraptie.net) contains the equivalent amount of recycled plastic as in a single soda (or water) bottle. Bikers, climbers, floorers, workers, framers, plumbers, hikers and anyone else needing a secure way to fasten something down can find a great use for these handy strong straps that connect with hook-and-loop fasteners and won’t scuff or scrape what they’re holding. In 2018 the start-up diverted more than 10,000 plastic bottles from landfills as the raw material for its innovative product, and hopes to divert a million bottles from landfills in the near future. Intrepid eco-conscious bicycle commuters will appreciate the REI Co-op Cycles Rain Jacket ($99.95, rei.com). The fully seam-sealed, waterproof/breathable jacket is made out of recycled, bluesign-certified 2.5-layer ripstop nylon and is the ultimate wind-breaker, deterring gusts up to 60 miles per hour. A covered 2-way front zipper keeps out rain, yet lets you vent, while a drawcord hem seals out cold and wet and a droptail hem keeps spray off your backside. 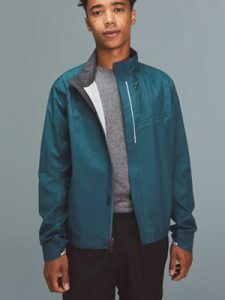 The jacket is one of hundreds of REI branded products that live up to new stringent sustainability standards adopted last year by the nation’s largest consumer co-op for anything it sells online or in its 154 stores across the country. If you love the earth so much you like to run on muddy trails, the HOKA Speedgoat 3 ($150, hokaoneone.com) waterproof trail runners might be the perfect shoe for you. 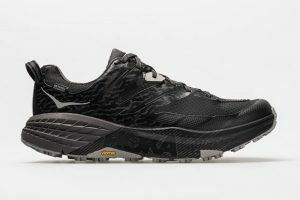 The innovative footwear maker is revolutionizing the running industry with its Meta-Rocker midsole that creates a fulcrum effect to help propel runners forward comfortably and quickly. Besides blazing new technology trails, HOKA is also focused on setting a high bar for the industry in terms of reducing waste and energy consumption, embracing 3D printing as a way to increase production efficiency and reduce the amount of surplus material on the cutting room floor. the SoCal-based company is also gearing up toward ambitious 2027 goals of sourcing at least 90 percent of materials from suppliers certified by third-party benchmark organizations, reducing waste generation at factories by 50 percent, and ensuring 90 percent of core manufacturers apply industry best practices to reduce water waste. Nothing worse than messing up your spring with a late-season sickness. Ward off those germs with CleanWell’s botanical hand sanitizer spray ($3.99, cleanwelltoday.com). It’s free of harsh chemicals (no triclosan, quaternary ammonium, or alcohol here) and has a delicate citrus scent. The small design of the bottle allows for it to effortlessly fit into any pocket or bag, and the spray component makes it easy to apply to car and train handles, seatbelts, and any other tainted surfaces you come across on your daily commute. 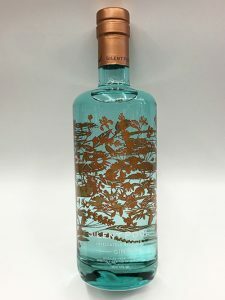 Just because it’s the cocktail hour doesn’t mean your environmental values are out the window, so why not reach for Silent Pool Distillers Gin ($59.99, silentpooldistillers.com). The UK-based distillery has been carbon neutral since 2018 when it installed 16.5 kW worth of solar panels to its rooftop, saving the generation of some 6.5 tons of carbon dioxide into the atmosphere annually in the process. The company reclaimed an 18th century English steam boiler that runs on hardwood logs harvested by hand from the local forest at its Surrey, England headquarters, and a recent switchover from red diesel to BioDiesel is the (green) icing on the cake.